Each year, employers are required to send a report to employees showing their total wages and deductions, so the employees can include the information on their income tax returns. The reports must also be filed with the Social Security Administration. This report is a W-2 form. Before you prepare and send W-2 forms to employees and the Social Security Administration, follow these steps to make sure everything goes smoothly. UPDATE: The 2017 Tax Cuts and Jobs Act has reduced more income tax rates, beginning with the 2018 tax year. This means that some employees may be having too much withheld from paychecks. They may need to adjust their W-4 forms to account for this difference. It's sometimes difficult to tell if a worker is an employee or independent contractor, but the IRS requires that workers be classified correctly and the IRS can impose fines and penalties on companies who fail to classify workers correctly. An employee is a worker who performs work at the direction of an employer. In general, anyone who performs services for an organization is an employee if the organization can control what will be done and how it will be done. On the other hand, an independent contractor is an individual or business that provides services to another individual or business. The independent contractor is a separate business entity and is not considered an employee. Some examples of independent contractors are consultants, agents, or brokers. The work of independent contractors is often incidental or not essential to the business; for example, a cleaning service, payroll processor, or IT service. Read more about classifying workers as employees or independent contractors, and consult an employment attorney for assistance. The deadline for both distributions to employees and filing with the SSA is January 31 of the following year. This is a new earlier deadline for the SSA filing has been set up to help avoid tax fraud. Read more about the W-2 and 1099 deadlines. Make sure you give employees their forms early in January, so they have time to review them, to prevent errors. Employers are required to have a W-4 form on file for all employees at all times. 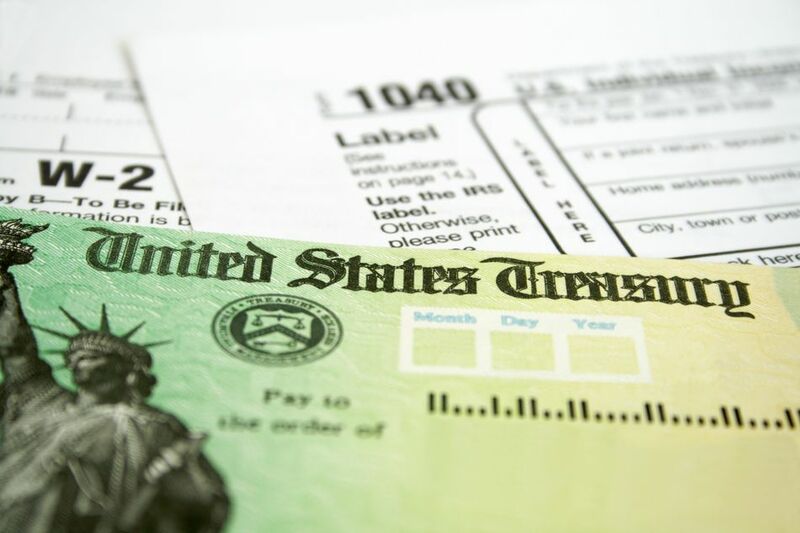 Form W-4 includes information necessary for determining the amount of an employee's federal income tax withholding, using marital status, number of dependents, and any additional amounts to be withheld. The IRS has changed the W-4 form for 2018, to account for the lower tax rates and possible under-withholding. Important: Employers are not allowed to help employees complete the W-4 form. All you can do is point them to information about how to figure their withholding amount. The IRS has issued a withholding calculator that employees can use to figure out their withholding amount. Form W-4 must be completed at hire and at any time the employee wishes to make a change. The employee should change the W-4 form if the employee's personal information (including marital status and number of dependents) changes or if the employee's address changes. The employee may also change the W-4 form at any time to alter the amount of withholding. Each year before the end of the year, employers should ask all employees to review the W-4 form to make sure the personal information is accurate. Making sure employees have accurate and current information on Form W-4 will help you prepare and distribute W-2 forms. Medicare wages and tips and Medicare tax withheld, including the additional Medicare tax for high-income employees. Local wages and tips paid and local income tax withheld. If your company is new to payroll processing, or if your payroll situation has changed recently, it's a good idea to review the process of finding, completing, and distributing end-of-year reports to employees. You can get W-2 forms from an office supply store, your CPA, from tax or accounting software, or from the IRS. Note: You cannot download W-2 forms from the IRS or elsewhere on the Internet. Copy A of the W-2 form is in a specific color of red ink and cannot be duplicated. You must file the specific IRS form of Copy A with the Social Security Administration (this is the copy you keep and file with Social Security at the end of February). Using accounting software. If you have only a few employees and you use accounting software, you may be able to purchase an add-on to prepare W-2 forms using this software. Using purchased W-2 forms. The major office supply companies have pre-printed W-2 forms for use with software on a CD which allows you to input the information for these forms manually and print them out on your printer. Whichever method you use for completing and printing W-2 forms should also have W-3 transmission forms. Once you have created W-2 forms, your next decision is how to distribute them to employees. Remember that the deadline for distribution of W-2 forms to employees is January 31 of the year following the tax year. For example, employers who were required to distribute 2016 tax year W-2s have until January 31, 2017, to distribute them. You have two options for distributing printed W-2 forms to employees: either mail them or distribute them to employees in person. If an employee picks up their W-2 form in person, you may want to have the employee sign that the form was picked up, to avoid questions about whether this was done. To minimize issues and having to re-send W-2 forms, check the W-2 forms for errors, using this checklist. Common W-2 errors include using the wrong year's form, failing to include information, putting information in the wrong box, and failing to stop Social Security withholding at the maximum. One common error is not reporting the cost of health care coverage. This cost must be reported on Line 12 of W-2 forms. If you have printed out the forms internally, you can simply reprint the W-2 form and give it or mail it to the employee. If the form was prepared by an outside payroll service, they may charge you for the cost of reprinting and mailing the form. You may want to charge employees for a first duplicate form, or the second duplicate in a year (it happens!). Whatever you decide, it's a good idea to communicate your policy regarding duplicate forms to employees. Having a charge for duplicate forms may seem extreme, but it might cut down on the number of lost forms that you have to deal with. After you have decided how to prepare W-2 forms and have distributed these forms to employees (by January 31 of the year following the tax year), your next decision is to determine how to file these forms with the Social Security Administration (SSA). You can file online at the Business Services Online section of the Social Security website. You will have to register first, then complete the appropriate forms online. If you file online with the BSO, you don't need to include W-3 forms. You may also mail completed W-2 forms along with Form W-3 to the Social Security Administration. Here is more information on how to prepare a W-3 form. When you complete a W-2 form for an employee, one portion of that form (Copy 1) is designated to be submitted to the state where the employee works. If the employee works in more than one state, you will have to submit a copy of the W-2 form to each state. Each state has different requirements for submission of W-2 forms and any transmittal forms. Check with your state's taxing authority or state revenue department to learn that state's requirements. UPDATE: Many states are conforming to the new earlier January 31 deadline for filing W-2s with the SSA. Read more about state payroll taxes.